This little chap is waiting for his holiday – but does he have a passport and all vaccinations? After a spike in the number of families taking dogs abroad during the Easter holidays, we are urging pet owners to get their applications in early for pet passports and vaccinations ahead of the summer rush. After an unprecedented number took their dogs overseas during the three-week Easter break, we would warn owners not to leave it all to the last minute, as a rabies vaccination alone has to be carried out 21 days before departure. Kevin Wood, clinical director of Cherrydown, said: “Anyone planning on taking their dog within the EU, or a non-EU listed country, will need to make sure their dog is at least 15 weeks old at the time of travelling, has been issued with a pet passport, has had a microchip implanted, is vaccinated against rabies and has been treated for tapeworm. 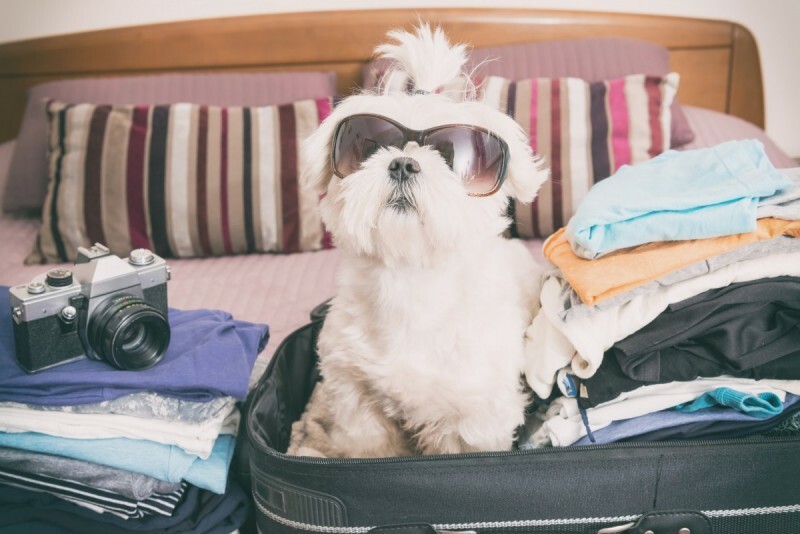 “For pets travelling abroad there are numerous factors to be taken into consideration and the situation can be complex, depending on which country, or countries, will be visited, so it’s important to get professional advice well in advance. “Get in touch with us at any of our Basildon, Stanford-Le-Hope or Wickford branches. To find out more information on getting your pet vaccinated, call us on 01268 533636.